Home » Latest Event » NEXT PLAY DAY: Feb. 23rd. 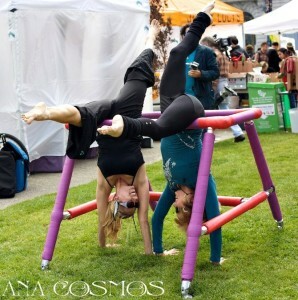 MONKEY BARS, YOGA SWINGS, POLES AND MORE! 12 Lido Lane, San Rafael. A day of many ways to feel good, relax, release, stretch and strengthen the mind, body, and spirit — with the freedom of playful expression and mindful movement. If you enjoyed the playground as a kid, you’ll love the ‘Quantum Playground’ as an adult even more! 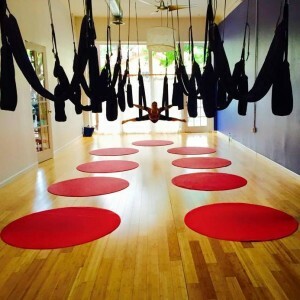 Play yourself into shape on our padded yoga monkey bars and Aerial Yoga Swings. Awaken the inner courageous child and try something new and fun– say whee, say ah, say yes! Individual and small group instruction in this challenging, playful workshop. Experienced yogini, creator of Aerial Yoga Play and The Quantum Playground, founder of Zen Healyng and Healyng Technologies. 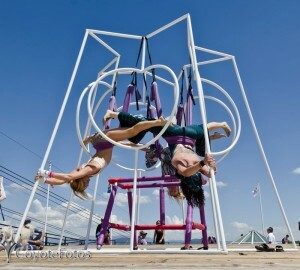 Combining her training with her passion for embodied movement and sacred play, she has spent 15 years creating the vision of a “Quantum Playground”– performing a blend of aerial dance, acrobatic, and yoga inspired movements on sacred geometric play structures, monkey bars and yoga swings. –Bring a friend and enjoy a 2-for-1 special! –Light potluck after, bring something to share. –Bring a towel if you want to use the hot tub and pool!